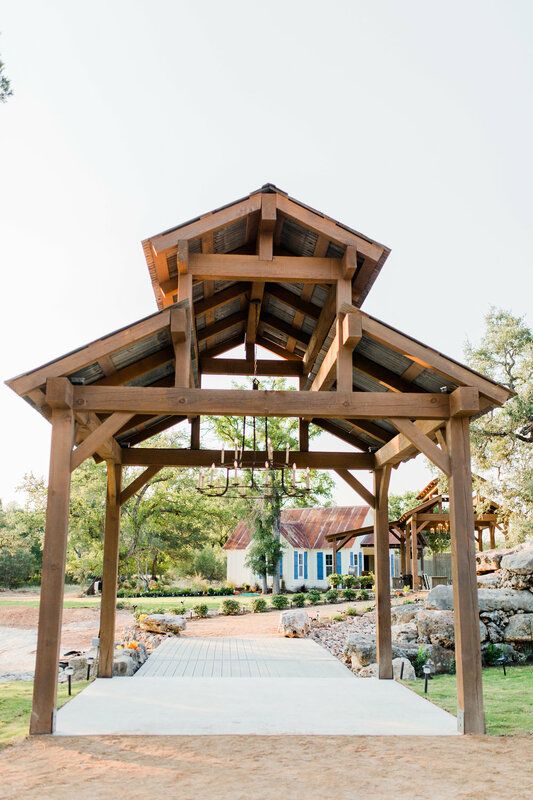 Enjoy your wedding with a background of rolling green hills; towering live oak trees; fertile valleys; clear creeks and rivers at Eagle Dancer Ranch. It is a one-of-a kind place. 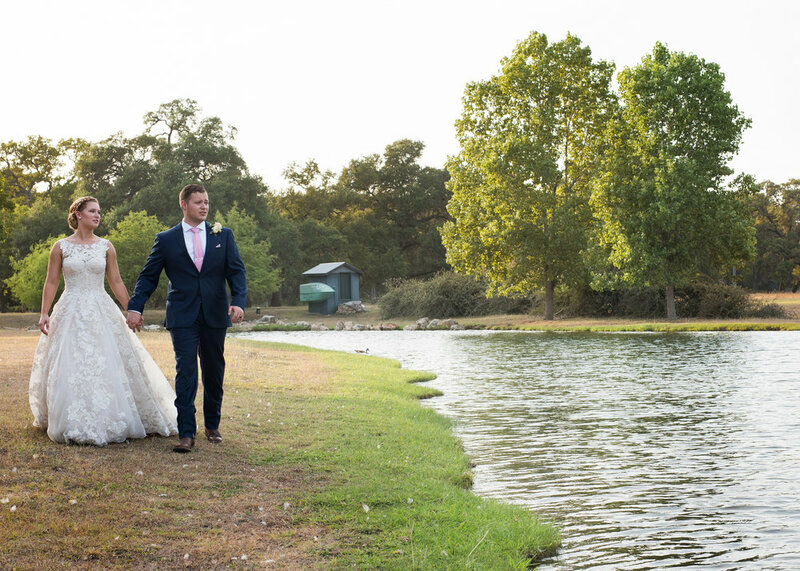 Your ceremony will proceed beneath towering live oak trees with fountain pond (including ducks). 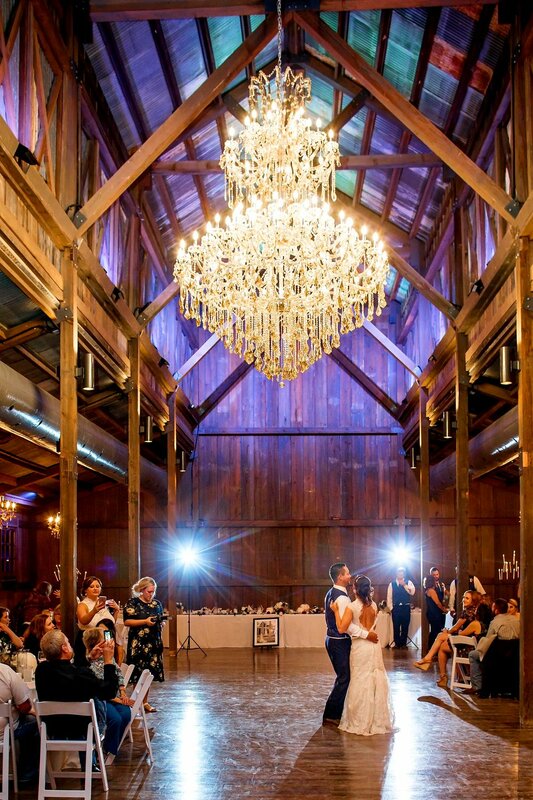 White resin folding chairs, white benches, wooden arbor with stained glass doors, and lanterns to accent the aisles. All of these things complete the romantic picture. 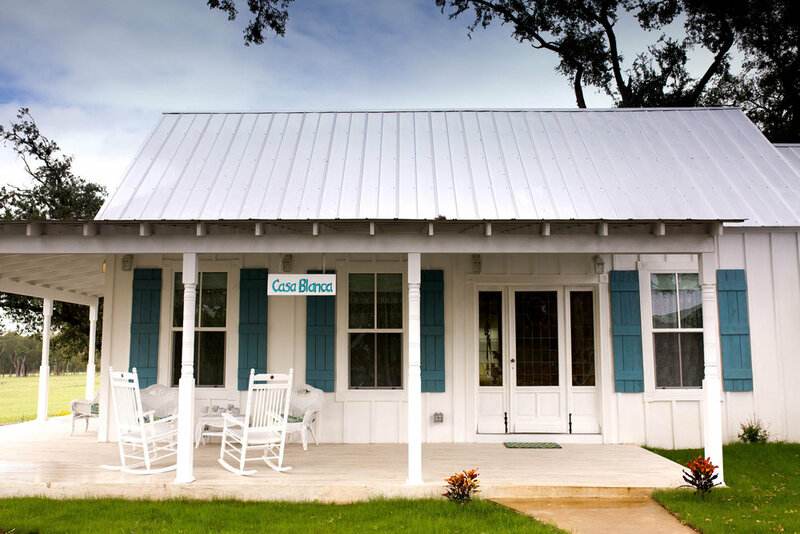 Our 1874 Historic Barn is built entirely from Texas Long Leaf Pine, Western Red Cedar beams, and Bald Cypress siding. 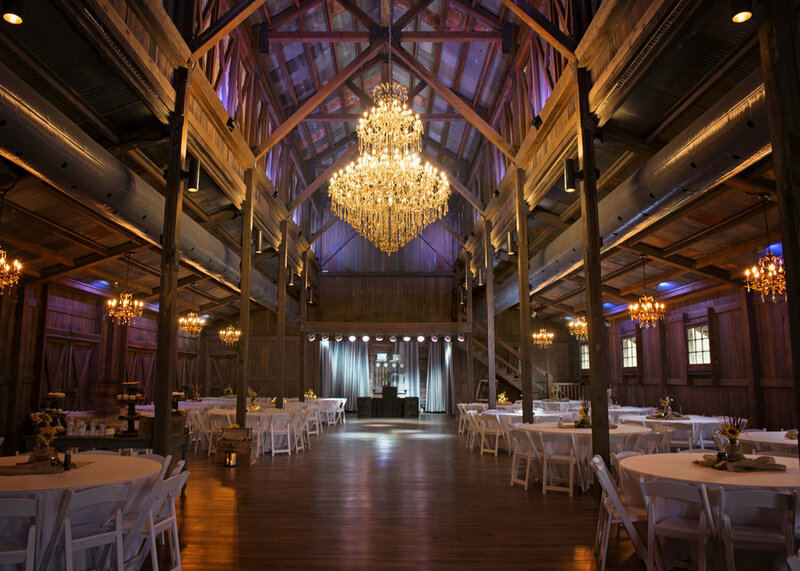 The barn is over 100 feet long and 38 feet tall, showcasing the chandeliers perfectly. 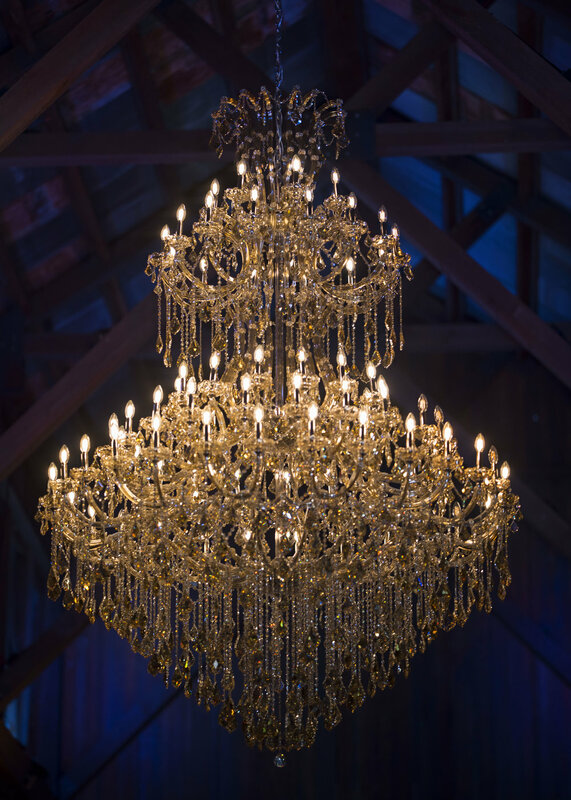 Inside, there are a total of 13 magnificent eastern European crystal chandeliers. The largest is over 10 feet tall and 7 feet wide, with more than 8200 brilliant crystal facets. 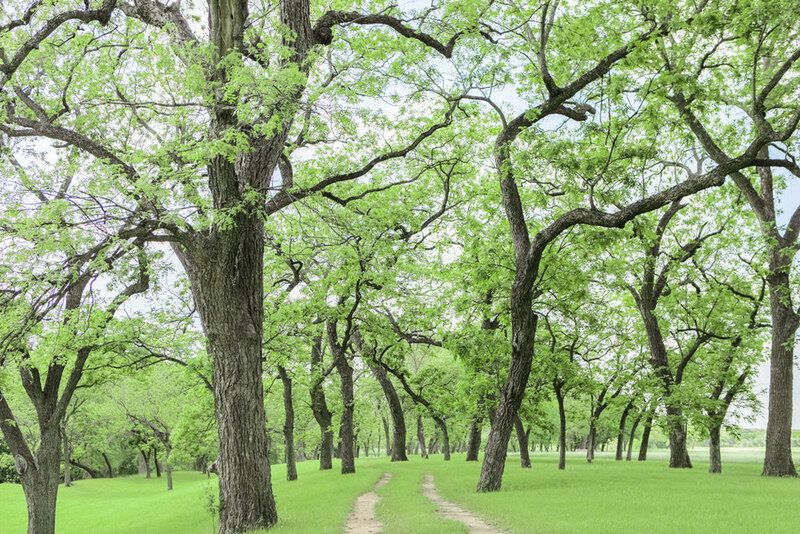 There is complete climate control, so every season is ready for you. Outside, there is a dynamic waterfall feature with sandy beach area for children. The large courtyard has 3 outdoor covered pavilions, housing 4 iron chandeliers, each one measuring over 7 feet tall and 6 feet wide. Leading to the courtyard area are two pedestrian bridges, crossing a 300 foot, meandering, landscaped creek with 5 waterfalls. The largest waterfall is over 10 feet tall and 60 feet long. All water used in water amenities is rain harvested from roof tops. Every light bulb on the property is LED. There are more than 200 outdoor solar lights in the courtyard, garden and other landscaped area. We are proud of these features. · One hour of rehearsal. · 4 hours of dress/prep time in Casa Blanca for Bride and in Cantina for Groom. · 6 hours of event time (starting when ceremony begins, or if no ceremony, starting when guests are scheduled to arrive). This event time also includes bridal portraits within the 6 hours, and any other times by appointment. · We also provide LED candles, wooden planks, and Mason Jars to aid in your personal decorations.